Submitted 1 year 3 months ago by Live Combat. 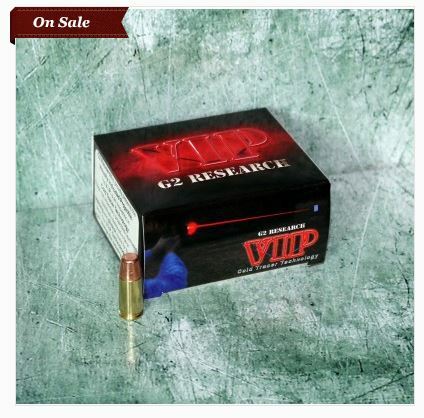 Features: 95 Gr 1200 FPS Lead Free The V.I.P. uses their patented Cold Tracer Technology to provide non-incendiary, non-toxic tracer fun at indoor gun ranges. Shoot it outdoors from dusk til dawn. The V.I.P. is an excellent round for both home defense and law enforcement training. See Where You Shoot.